Gorgeous! I’m so excited for these new dies!! And lucky me, I get to see this in person at the show! 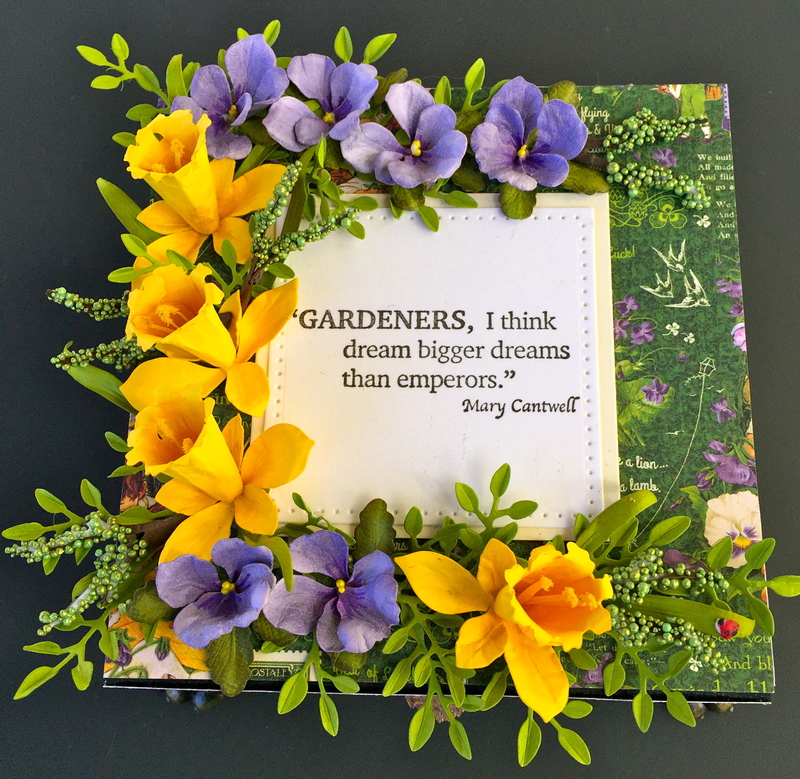 This is gorgeous, Susan…love, love, love daffodils! I’ll be sure to look for you at CHA. I’m looking forward to seeing your new dies! Safe travels! I love this box Susan. It is gorgeous. Outstanding! Safe travels. Looking forward to your new dies. Susan, this box is just gorgeous! All of us fans of yours can’t wait for the rollout of the new dies. Have fun at CHA! I’ve been watching all you posts on FB and love this new line. I Elizabeth Crafts they all say coming soon, when is soon I’m dying to purchase. Love it. Have fun at CHA! Gorgeous, can’t wait to see more!! FABULOUS! Have fun at CHA… Wish I could go! Love, love, love! I pinned of course! Forgot to include the pin. Guess I can’t paste it in. Oh well. It’s on my Susan’s Garden Club board.